Sylvan McIntyre, Acting Disaster Coordinator, wants people whose homes could have suffered structural damages such as cracks in the walls and structures to report these incidents to the office of the National Disaster Management Agency (NaDMA). “Once it happened as a result of the earthquake, we want them to report it because that is the only way we will know the true impact on the country,” he said, warning that people must be mindful that such a powerful earthquake will also have aftershocks. On Tuesday evening Grenada was among Caribbean and South American territories rocked by a 7.3 earthquake according to the US Geological Survey. Though there were minimal damages, the quake which was felt island-wide swayed buildings, trees and utility poles. A circulating video shows ground springs in the north of the island boiling, while new ones pop up through the earth around. Silver Springs in St Patrick is a tourist attraction that offers persons the opportunity to have sulphur baths. People ran out of buildings and homes, goods on supermarket shelves ended up on the floor, rocks fells into roads. 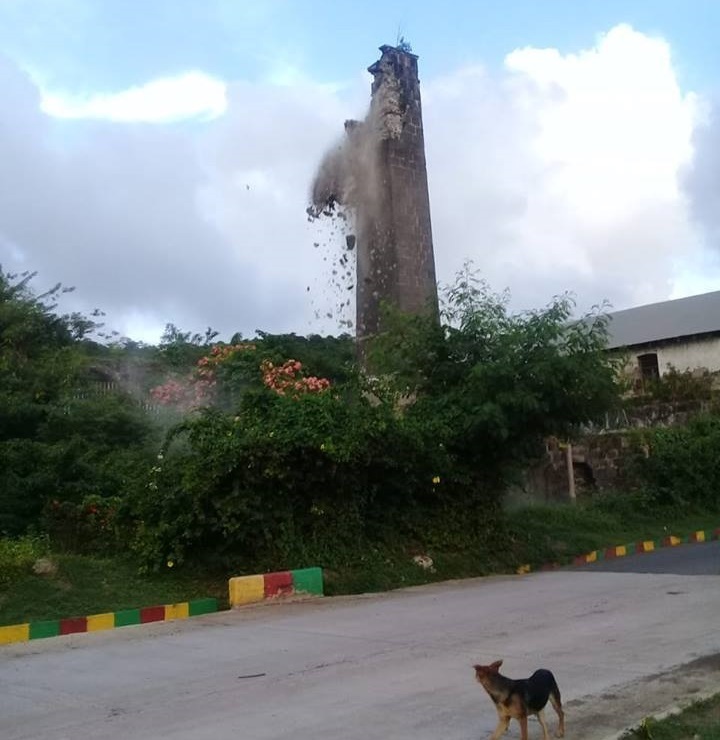 Only one bus suffered damage to its windscreen, and a historic sugar mill in St David shed some of its materials. “There was a slide at the black gravel pit, and it should not be considered a threat,” said Senator Winston Garraway, Minister for National Disaster Management and Information in response to a video circulating on social media showing an abandoned black gravel quarry pouring out gravel into an open space beneath. On Wednesday morning, another quake measuring 5.9 according to the UWI Seismic Centre struck. Workers at the ministerial complex ran out to the open space to the back and front of the 6-storey building which is located in the Botanical Gardens and houses most government ministries.